Hi there! 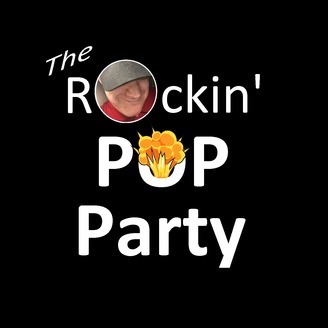 You found where to learn and listen to The Rockin’ Pop Party, brought to you in part by Mixcloud. Unfortunately, you can’t catch the show live anymore, but you may see some surprise episodes every now and then available to listen to here on my website. The show has been around for years as some of my long time listeners know. In fact, the show predates all the episodes you see here on my website. Initially it started at HitMeRadio back in 2008. However, the show was nothing like it is today. Then, in 2013 it came to what once was Sky 106 and stayed there for three years. In June of 2016 for about two months, you could catch The Rockin’ Pop Party on MushroomFM, but then soon went back to Sky 106 until October of 2017, when the station closed it’s doors. It’s now on Magic 109. Needless to say, the show continues and has always been available on Mixcloud though. 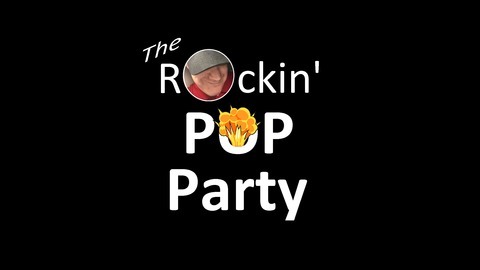 The Rockin’ Pop Party is a three hour show consisting of a variety of rock, pop and country! The first two hours of the show is primarily music of today, without going back any further than 1980, whereas the last hour is music before 1980. Requests and dedications are welcome throughout the show and feedback makes the show even better! The show has two segments. The first of which, “Between the Sheets: Cover Comparison” is where you the listeners decide whether or not an original track or it’s cover is better. The listener feedback is much appreciated during this segment and extremely fun. Sometimes you’ll find that the cover is way better than the original, but other times, you can’t help but ask; “Why would anyone cover a perfectly good track?” This segment happens at the top of the second hour or one hour into the show. The other segment, known as “The Rockin’ Hour in History”, consists of music primarily before 1980. There really isn’t a limit as to how far back this segment will go, but does usually play most of your favorites from the 50’s, 60’s and 70’s. This segment is also one of the more anticipated parts of the program, because listeners can get the opportunity to hear how the genres of rock, pop and country have changed over the years. Throughout the week, I am always interacting with the listeners of my show on Facebook and Twitter. So, if you want to be involved, by all means, feel free to let me know you’ve listen. Description: On this episode, you heard a lot of great tunes from today and beyond! There were a lot of songs that Halestorm covered and more! Phil Collins went “Between the Sheets: Cover Comparison” against In This Moment with ‘In the Air Tonight’ this time around. Not to mention, great tunes from the 60’s and 70’s in “The Rockin’ Hour in History” as well. All this and more on this week’s episode. Enjoy!